New York’s JFK International Airport was in the spotlight this week, as Delta Air Lines, Terminal 4 operator JFKIAT and the Port Authority of New York and New Jersey unveiled the next phase in Delta’s $1.2 billion investment in the JFK hub. The new addition opens 11 gates and 75,000 square feet of new space. 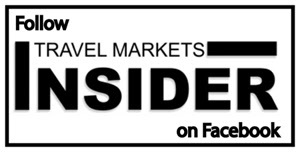 The key for Travel Retail is that the new areas feed more travelers into the retail and restaurant offerings. Story on page 1. IAADFS announces that Early Bird discounts for the 2015 Duty Free Show of the Americas taking place in Orlando, Florida on March 22-25, will end this Friday. See details on registration and show highlights on page 1. Most of the news this week revolves around the Supply Side and People. Dufry‘s respected Xavier Rossinyol, coo of the Middle East and Asia business, is stepping down, for a senior position in another company in the industry. Bacardi appoints a CEO. In the Beauty area, Lancôme names social media star Lisa Eldridge as its new creative director. Miami-based PGE signs with Desigual perfumes for the Caribbean market. In Spirits News, Edrington and World Equity Brand Builders launch the new Edrington WEBB Travel Retail Americas joint venture; Bacardi starts its rollout of French elderberry liqueur St-Germain into US Travel Retail at JFK Terminal 8 with International Shoppes; Texas-based BYE JOE USA has listed its “reinvented” Chinese spirit “baijiu” — bye joe–with DFS Group in LAX and SFO; and Italian wine company Bottega is fighting back against producers copying its successful gilded bottles with legal protection that recently resulted in the seizure of 40,000 bottles with gilded packaging in Italy. See pages 2 and 3. Accessories. B+D readers are now available in Heathrow and Birmingham Airports in the U.K. Inflight specialist Tyko has launched an exclusive collection of flash tattoos body art based on famous sites in Los Angeles. Page 3. Confectionery. Nestle Travel Retail is focusing on its famed KitKat brand with a full range of innovative and whimsical promotions and campaigns in 2015. Lara Pasternak reports the news from Cannes.